Dr. Farah Khalil got her medical degree from Khyber Medical College and she completed his residency at University of South Florida. She succeeded in getting her fellowship from H Lee Moffitt Cancer Center and has been in practice for 20 years. 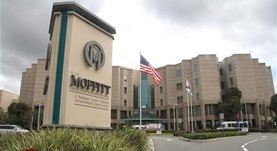 Dr. Khalil is certified in pathology and is currently affiliated with Moffitt Cancer Center. Dr. Farah K. Khalil has contributed to 3 publications. Serdiuk, A.,Khalil, F.,Cohen, J. B.; Anesthesiology. 2015 Aug 20. Annotation of human cancers with EGFR signaling-associated protein complexes using proximity ligation assays. Mediavilla-Varela, M.,Luddy, K.,Noyes, D.,Khalil, F. K.,Neuger, A. M.,Soliman, H.,Antonia, S.; Cancer Biol. Ther.. 2013 Jul 17.